Dr. Thai McGreivy, a regular commenter on this blog, passed away on Sunday night after unexpectedly suffering a massive heart attack the previous Monday. Thai made many friends here; though I didn't get to meet him face to face, I greatly appreciated and respected his insightful, passionate and often humorous remarks on the issues presented in Sudden Debt. He was my friend. For me, his enduring legacy will always be fractals, a subject that I was only vaguely familiar with until Thai explained that our world's complex beauty can be best described through the simple elegance of fractal mathematics. He used a picture of the Mandelbrot set as his avatar to keep reminding us of the importance of fractals in everyday life. It wasn't long before I, too, started discovering fractals everywhere, from a bush on the side of the road where I went biking (a passion that we apparently both shared), to persistently similar fluctuations in financial markets. In fact, I was working on a piece called Fractal Finance when I was told of his untimely passing. But I will always have a much more personal, emotional and lasting appreciation of Thai. You see, some weeks ago I presented fractals to Sofie, the love of my life. Sofie is, among other things, an extremely gifted and talented artist whose paintings are eerily evocative of fractal images. As soon as she saw the infinite sequence of images generated by the simple formula zn+1 = zn2 + c tears of joy came to her eyes. "I have always known of this deep within me" she said, "I am so happy to see it before my eyes. Thank you so much." Thank you Thai. We shall always remember you. Now I'm interested in how that works in personal finance. I am very sad. Thai's remarks were always short but the most interesting of all comments. 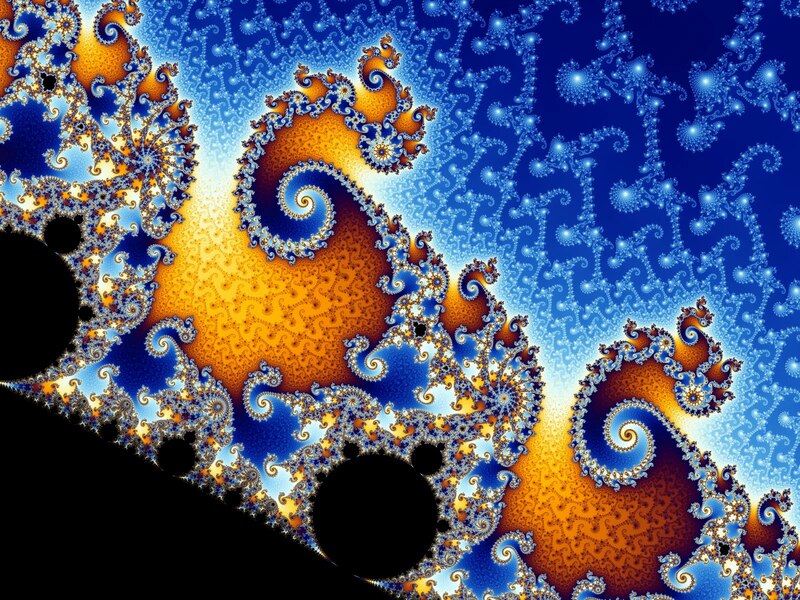 I am surprised that fractals are new things for many. I know them for more than 35 years and right from the beginning fractals were presented as a new and precise way to describe many things in our real world, see for example the problem of the length of the coast of Brittany, or the butterfly effect, or the stock market variations. Mandelbrot is French and as a teenager I used to read science vulgarisation a lot. And then came microcomputers and all of them had fractal painting programs. So I am surprised that you discover this only now. Even if I do not have the reflex to see fractals everywhere as did Thai. I will miss Thai a lot here. The jungle won't be the same without him. I have said elsewhere... he was a peacemaker. The world is terribly diminished by the passing of a peacemaker. And even if I didn't understand fractals, I understand... a passion for fractals. And... where will we be without Thai to keep things... on topic ?? Saddened by the news, he looked so young. I'm so sorry to hear about this untimely event. I feel it like a loss, however in the short time that I communicated with him in this thread, he made a contribution to my life and I am grateful to him for that. I am deeply saddened to hear this. Thai had been a frequent commenter on my blog for a long time, and I always enjoyed talking to him. Though I never met him personally, I had a good chance to do so, when I was vising Virginia last Sept. We arranged to meet for a beer, but then my little son got sick and I had to change plans. I thought at that time - what the heck, I can always meet Thai on my next trip to the area. Sad to find out that God had different plans. I was looking for Thai on Google and found your blog. Fractals are part of nature, all around us, I believe ice crystals also made up of fractals. A very interesting phenomenon. I have known Thai for about a year now, here in Virginia/Maryland. Very bright and astute personality. Someone who would really make you think with his straight forward and astute remarks. I shall miss him, my prayers are for him and with his family. He would from time to time talk about the debt tsunami, and would warn us against it. Everyone who he touches feels his absence and he will be missed! Its difficult to convey the sadness I feel. Such a good friend; so full of life. We can take joy in that we all created a playground for him to happily debate and profess his favorite ideas. I am shocked and saddened to learn of Thai's death. Such sudden passing is a reminder that none of us are guaranteed a tomorrow. Each day is a precious opportunity to make the world a better place or to improve another life while we have time on this plane of existence. One can only speculate on the fractal aspects of that higher plane. Condolences to Thai's family and friends for his departure leaves a great void. Thai’s memorial service is scheduled for Thursday June 17 at 3 p.m. at the Bethesda Theatre at 7719 Wisconsin Avenue, Bethesda. I will send more details as the date gets closer, but wanted to let everyone know the date and time as soon as possible. We are also in the process of setting up a memorial fund in honor of Thai that will fund educational scholarships for excellence and intellectual curiosity in science, mathematics and economics. In lieu of flowers, our family will request donations to this fund. I also want to say thank you again and again and again for everything people have done for me. I cannot tell you what a comfort this outpouring of support has been in such a difficult time. I have read and treasured all the e-mails that you sent and plan on compiling them into a memory book for our family. I apologize that I have not been able to reply to everyone, but hope you understand that they are truly appreciated. Thank you for your kind post. I am Thai's wife. These sorts of things have meant a lot to me in this very difficult time. I know that Thai respected you very much, perhaps was even a bit in awe of you. I'm not sure if you were the one who predicted the "great recession" but I know Thai was very much ahead of the curve on this and attributed it to the information on blogs, not the mainstream media. Many friends and family members had to humble themselves when Thai's gloom and doom forecasts came true. There seems to be a lot of "interconnectedness" on these blogs and I don't know every blog Thai frequented. I would appreciate getting any other such tributes. Dink and Okie lawyer know how to reach me. I have asked them and will ask the rest of you to consider if any of Thai's writings would be appropriate to read at his memorial service. Something about interconnectedness, conservation of energy (in an inspirational not esoteric way), or just something that might be inspirational in general, would be great. I know there's years of stuff out there, but perhaps something stuck in someone's mind. As a wife, I sometimes begrudged the amount of time Thai spent blogging and teased him about his "imaginary friends." I see now that Thai really had established genuine friendships online even though most of you had never seen or spoken to him. He was truly a unique and wonderful human being. It is the greatest waste and the only sense of it we have been able to glean is that two people were given the gift of Thai's kidneys and have a chance at a new life. Please accept our most heartfelt and profound condolences for your and your boys' loss. I can honestly say that my world is a poorer place without my friend Thai, who broadened my mind in many ways. No, he was not an imaginary friend, but a very real one. It didn't matter that we never met face to face; his spirit shone through in what he wrote about, the subjects he chose to get involved in. I, too, believe that we are all connected, in more ways than one. The Internet is just a more tangible, physical manifestation of this human connectedness which - I am sure - transcends what we can merely observe with our limited senses. What really matters is what, for lack of a better word, we feel. In that sense, Thai's passing is definitely not a waste, because he still exists within us all. I will forever remember him whenever I see a fractal, wherever I chance upon the lovely spiral of a seashell nestled in the sand of a beach. I thank you, too, for the kind words you used to describe me and my blog. I shall search as much as possible through the comment section for some of Thai's contributions. All my best wishes for the McGreivy Family. The Thai McGreivy, M.D. Memorial Fund has been established in Thai’s honor to fund educational scholarships for excellence and intellectual curiosity in science, mathematics and economics. To contribute online click here http://tinyurl.com/267phjo and designate the “Thai McGreivy, M.D. Memorial Fund” as the fund to which you are contributing (you will need to write the name of the fund in the third box). Here is a link to my salute of Thai on the Street Rat Crazy Saloon site. There is also a blog dedicated to remembering Thai in the works. Would it be okay to repost your post there, Hell? Also Katherine might give the blog addresses to friends to go through the archives and read original "Thai-ness". I think it will be bittersweet fun. I am deeply saddened by this loss. I have been an avid reader of Sudden Debt for over last 2 years, and come to appreciate Thai's posts. My condolences to his family and all of the sudden debt family in general. Albatross, I thank you my friend for that beautiful expression, "the Sudden Debt family". I wouldn't have come up with it on my own, and you're right, you're absolutely right... we ARE a family here. Fractal Adaptive Cycles in Natural and Human Systems. The same structure pertains to sociopolitical cycles. I explored this in a recent TAE post called On the Nature of Political Crisis.